The three ‘S’ models share a similar base engine package while the K 1600 GT is like the mother-ship, with two cylinders more than the others, and an electronics package more suited to touring. Then there’s the size of the bike compared to the other three. If the GT is the mother-ship, then the other three are like jet-fighter aircraft. But this mother-ship has a massive bite. It’s more than capable of having a dogfight with smaller, ‘sportier’ motorcycles. Pure-sports, naked-sports, and adventure-sports – these are the tags you could give the three ’S’ series machines here, but the K series GT deserves a sports tag too. It is a true sports-tourer. The launch for these bikes was held in Tasmania, a mecca for fast road riding. I get the three ’S’ series bikes being on the same launch, but the GT? I must say the BMW Motorrad Australia crew knew what is was doing, the launch really showed off the capability of all bikes. A master stroke really. I’d previously spent plenty of time on all the three ’S’ models, but hadn’t ridden the inline six-cylinder K 1600 GT for a few years. It has been substantially updated for 2017. It wasn’t the only one to be updated though. In fact the only bike here not to be updated was the S 1000 XR. Technology is a big part of BMW’s design ethos, as all of these bikes have plenty of it as standard equipment. Some more than others, of course, and the K 1600 GT and S 1000 RR in particular are absolutely dripping with the stuff. They have more gizmos than the Batlestar Galactica, and most of it is worth having. BMW is offering so much to play with that it was hard to completely get a handle of it all in only a couple of days. It really takes a longer test where you can get a real ownership experience to work out what’s what and try everything to see what settings you actually prefer. You could always do what I did and have a bit of a play with settings, but it was easier for my sojourn on the bikes to select the standard settings and enjoy the ride. BMW has these standard settings set-up really well, so the fact you can tailor them precisely to your needs make them truly amazing machines. The point is– there’s so much adjustment on these bikes that it’s almost impossible not to get something you like, whether it be dialling in engine response or achieving suspension perfection. 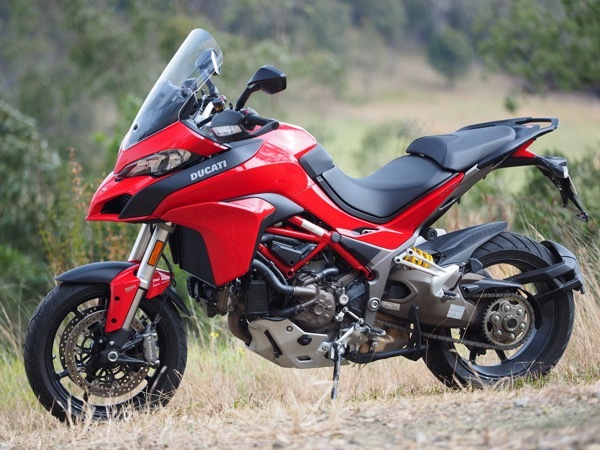 The big six-cylinder sports-tourer has received the most updates of the four bikes, even managing to retain its 160 horsepower despite being brought into line with Euro4 emission guidelines. This is mainly down to a re-mapping of the ECU and changes to the catalytic converters. Active suspension is now standard on the GT. Dynamic ESA has been one of BMW’s trump cards in recent years and not only is it now standard on the GT, it’s also been updated for 2017. Traction control is standard with the three riding modes, Rain, Road and Dynamic. Each mode changes the traction control settings. Fairing updates are not just down to styling, the fairing and screen has been changed for better rider protection. The screen is still electronically adjusted. The instruments have also been updated, in shape and in settings. There is a screen joining the tacho and speedo together and you can control just about everything from the multi-controller on the left handlebar. Shift Assistant Pro, or ‘quickshifter’ for the sports fans out there is now standard, and works for both up- and down-shifts. Reverse gear? Yep, now with the press of a couple of buttons you can now reverse out of your driveway. Phone home? With the new Intelligent Emergency Call, the on-board computer can sense if you’ve had a crash, and automatically calls for help and gives your location from the on-board GPS. It can even detect the difference between a slight tip over or a big one. So how do they work in reality? It’s great to see the BMW managed to keep all the 160 ponies intact, as this engine is one of the best ever made in my opinion. It’s big on capacity and big on torque. It’s not a sports type of top-end engine, although it is still very fast on open roads. It has such an amazing flexibility that it is a joy to use. There’s no need to flog it through the gears, just enjoy torque and listen to that sound. Fantastic. It’s also quite a slim engine for a six-cylinder. The fairing and screen updates work wonderfully too. It was great before, but the little changes have made a difference. Next to no buffeting with the screen in the right position, once again, a personal thing here, but as a mile-eater in comfort, the GT is one of the best out there. I have always been a fan of quickshifters, in the right conditions. Those right conditions are usually on the race track. The reason being, you always had to be a bit aggressive with acceleration to make them work smoothly. I’m quickly being converted for road use though, and the reason is BMW’s Shift Assistant Pro. You can be a little lazy and it still copes well, but overall it’s the best I’ve used on the road. Love that it goes down gears as well. As for the new instruments. Yes they look nice and give the rider plenty of info. I actually found them a bit over the top and took me a while to find what I was looking for. There seems to be a bit too much info there. Lastly I love the fact a reverse gear has been added. Essentially it engages the starter motor to turn backwards with the bike in gear, and makes life in car parks and so on just that bit easier. Priced from $36,990, the GT is a top shelf product but it’s certainly worth the dosh. It is available in red, black or the sporty blue. I’d have mine in blue thanks. For 2017 BMW Australia has decided to things differently and bring in a RR without all the fruit. A couple of years ago the HP4’s electronic suspension found its way on to the regular RR. Same deal now in 2017, so you can go for a manually-adjustable bike or the electronic. 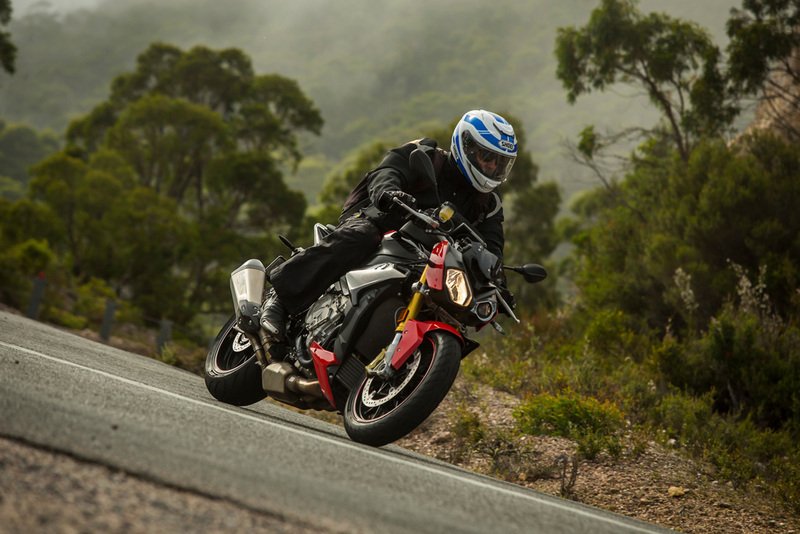 As with the K 1600 GT, the S 1000 RR has to comply with Euro4 emissions, but it also hasn’t lost any of its potency. ABS Pro has been improved, so if you select the Riding Modes Pro you get this extra. As you go ‘up’ in the riding modes, the ABS adjusts to suit, offering less intrusion as you go for more aggressive modes. Dynamic Traction Control is now standard, and the new RR comes with a single seat as standard, with the pillion seat as a no cost option. On the road the RR is a potent machine, no doubt about it. Like any sportsbike it is hard work in tight terrain, especially tight bumpy terrain. I found it not too bad on the body for a full-on sportsbike, and the engine is flexible enough for you to enjoy the bike without needing to be crazy with gear changes. There are numerous options worth thinking about. For example, lightweight forged wheels are a great buy, but they’re a couple of grand over the base price. The wheels aren’t available on the base model with manually adjustable suspension, so buyers need to think about their future options before signing along the dotted line. I rode three different models on the launch, the base, one with active suspension, and one with some extra styling bits. While the standard RR is a fine machine, the active suspension option just makes so much sense on today’s roads. Where the standard kit was firm, firm, and even more firm, the active suspension glided over the bumps. I’m not saying it was super plush, but the difference is substantial. Tasmania was the perfect place to sample the RR, and when speeds ‘crept’ over 120km/h the bike was a joy, even in the crap wet weather we had. With the riding mode set in Rain, the bike was so predictable. In fact that’s probably the best word for it. Predictable, but potent. Extremely potent. 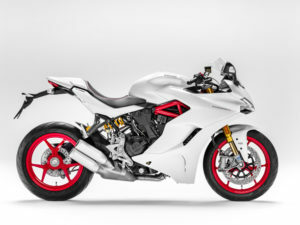 Priced from $21,990 for the standard version, from $23,990 for the active suspension S 1000 RR Sport and from $25,690 for the single-seat S 1000 RR Race..
Like the GT and the RR, the ‘R’s engine has been retuned to meet Euro4 compliance, but it’s gained five horsepower in the process, taking it to 165. It’s lost a couple of kilos too. An Akropovi? titanium exhaust now comes standard. It doesn’t sound over the top loud or anything, but it has a nice note and looks horn. That’s where some of the two kilo weight drop came from. And some of the power too. Vibration free handlebars (rubber mounted) get rid of most of the vibes. It must have been an issue for some people, hence the change. Now it’s pretty good. A lighter rear subframe makes up for the rest of the weight saving from the previous model. ABS Pro is now optional, as part of the Riding Modes Pro, which also upgrades the traction control to Dynamic Traction Control (DTC). This is only available with the active suspension option. 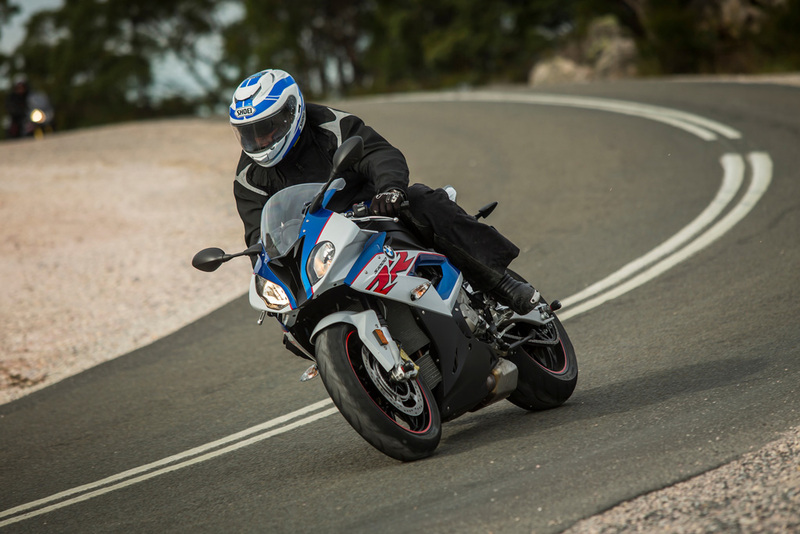 Like the new RR, you can get a base S 1000 RR with manually-adjustable suspension, or upgrade to electronic. And like the RR, electronic is the way to go. Shift Assistant Pro is now an option, it goes up and down too. On a bike like the ‘R’, the quickshifter is a real hoot. Lightweight forged wheels are also an option on the ‘R’, but once again, only if you’ve ticked the active suspension box. It also has an updated instrument package, with ambient temperature available. It’s easy to read and simple to use. Lastly the bikini fairing has been changed. It looked good before, still looks good now. This is one of the most capable naked bikes on the market. It has the same base engine setup as the RR and the XR, and is ultra flexible. You feel right over the front of this bike, and when pushing hard it gives you plenty of feedback and confidence, especially in the front end. Power-wise it’s very strong, and easy to use. Brakes, handling, power, it has everything. The performance nakedbike sector is a very competitive one, much of it bought on emotion rather than the ability of the bike. If you are looking at a big naked bike you must test ride an S 1000 R. It’s so usable but also has a manic side if you want it. 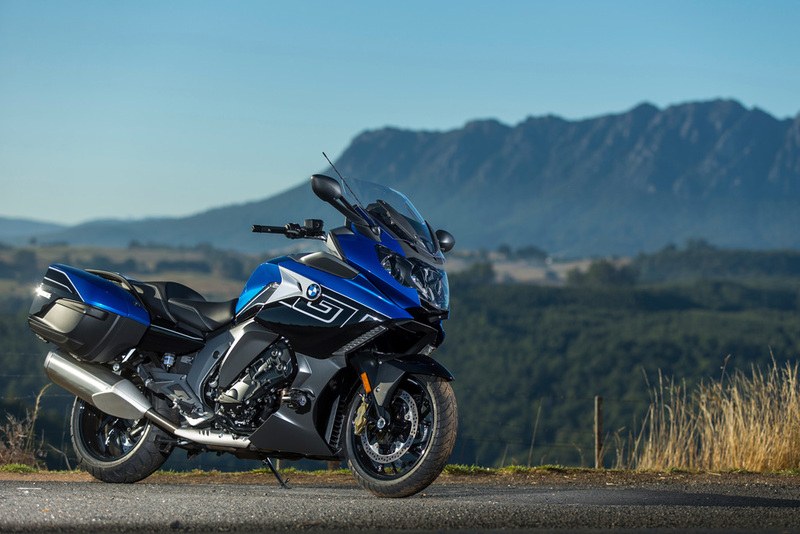 Prices start at $19,390 for the base model, and $21,690 for the S 1000 R Sport with active suspension. There’s no changes to BMW’s adventure-sport machine for 2017, but BMW had it along for the ride. Essentially it has the same engine spec as the naked R, so power isn’t an issue. It might take some sales from the boxer engine R-series adventure bikes but the S thou XR isn’t really a true adventure bike. If you throw some crap roads at the XR you’ll soon see how good this bike is. Sure, if you push the XR truly hard you will find a bit of flexibility in the front end but this is only if riding it very hard and in rough conditions. It’s a simple bike in many respects, compared to bikes like the GT, but if you like fast road riding with the odd dirt road adventure along the way then the XR is a perfect choice. So are the R series bikes for that matter. I really think a buyer looking at BMW’s adventure-sports bikes will choose between the base R 1200 GS and the S 1000 XR purely on engine feel. 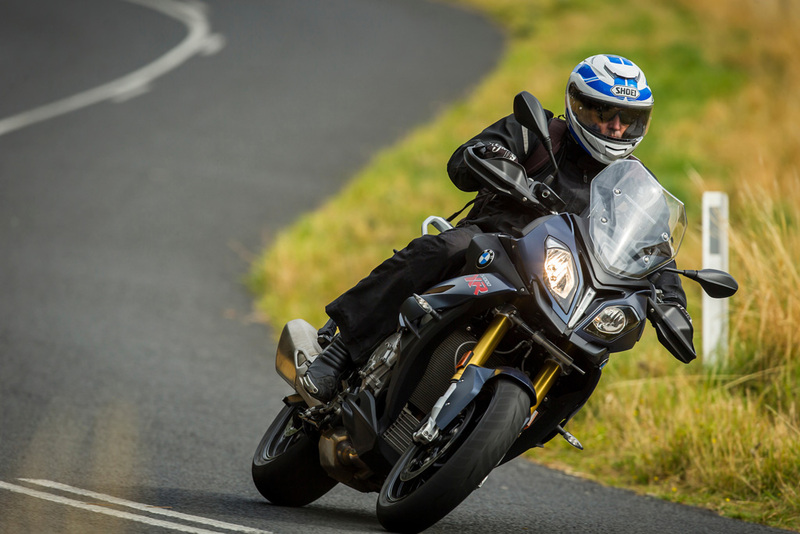 Like the S 1000 R, the XR gets 165 horsepower with the Euro4 update, making it the strongest in its class. It gets the vibration free handlebar also, and an increase in its payload, with a stronger rear subframe. There’s a new matt blue colour too. Like most other BMWs there is a myriad of options available for the XR. I especially like the Dynamic Package, which gets you DTC – Dynamic Traction Control, ABS Pro, Ride Modes Pro, Gear Shift Assist Pro, and Cruise Control. There’s also a Touring Package (Dynamic Electronic Suspension Adjustment, GPS Preparation, heated grips, centre stand, luggage rack and pannier mounts). So there’s plenty of choices. It is a great bike. Out of all the bikes, it’s the one I’d buy most, simply because it suits what I do with my riding these days. Pricing starts at $22,190, while a fully-fruited model will set you back $27,065. So there you have it. Plenty of changes for 2017. BMW has so many models available now, catering for just about every market sector you can think of, for road and adventure bikes that is. As I said before, BMW is an aspirational brand, always has been, probably always will be, but it caters for so many different motorcycle lifestyles it has opened up its ‘brand’ to so many people.